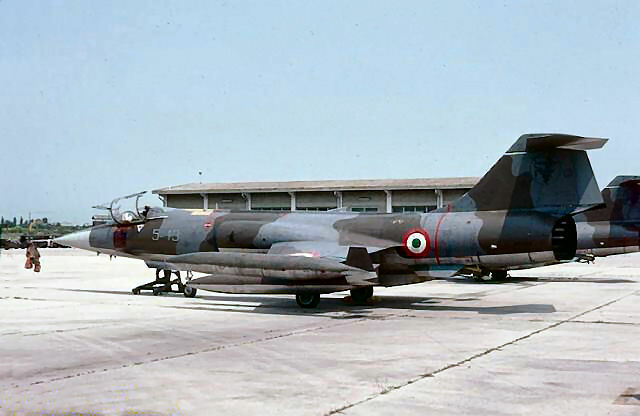 It encountered an accident during take-off or landing at Sigonella, collapsing its nose wheel. 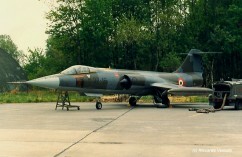 The pilot was ok. Later on after it was repaired the aircraft transferred to 4 Stormo becoming 4-02. Interesting photo beneath was provided by IFS member Riccardo Vestuto. 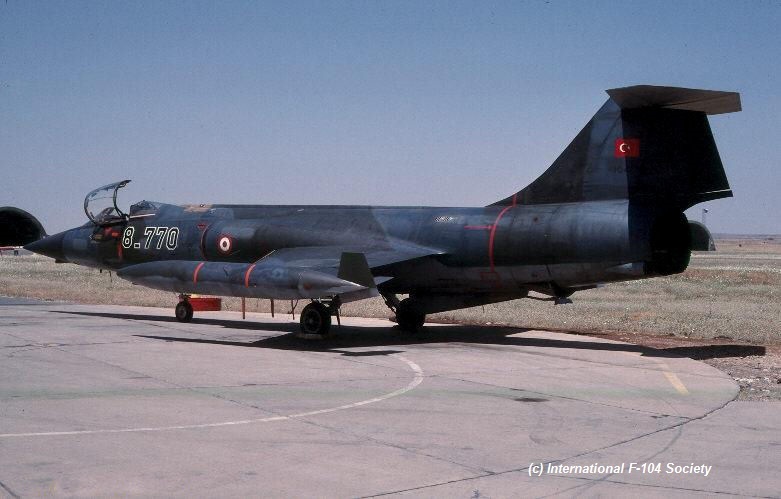 This Starfighter was written off after a crash at or near Diyarbakir. The pilot was ok. This day this F-104 made a belly landing at homebase Grazzanise after encountering problems with the undercarriage. It could be repaired. It was stated in Italian: Pilot capt. Angelozzi was safe. 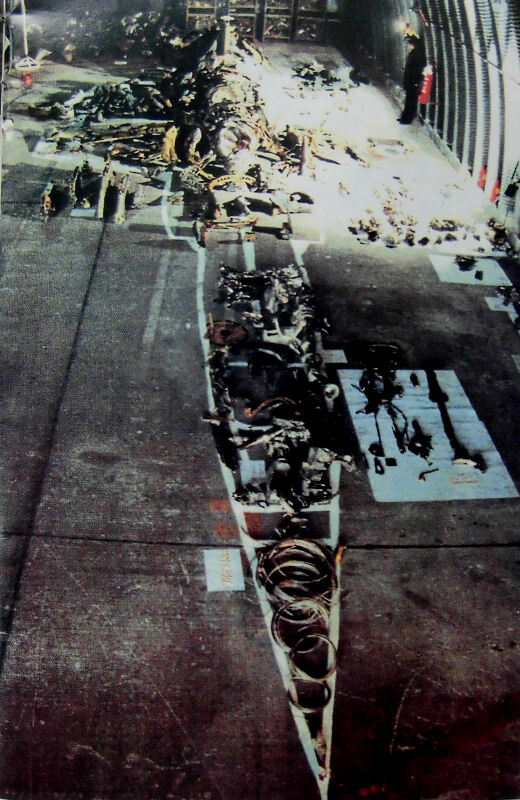 Photo beneath were taken by pilot Major Andrea Zani, who was part of the technical accident investigation committee. 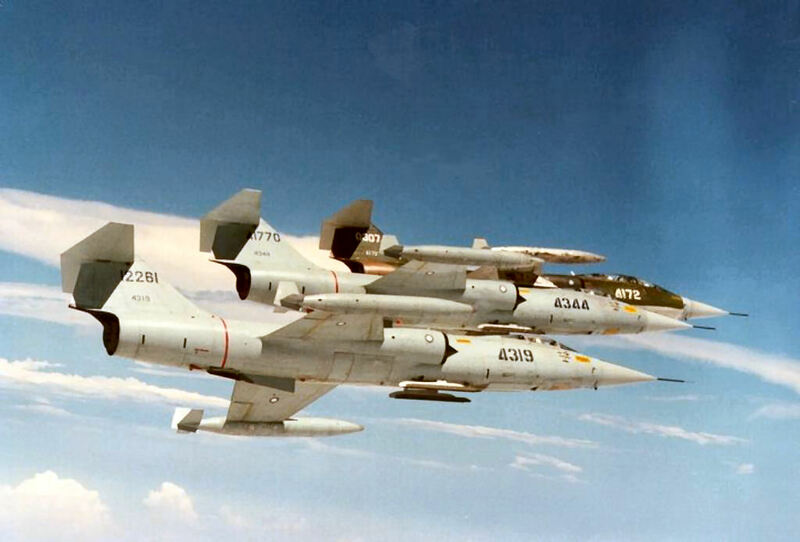 This aircraft was no.2 in a scramble duty towards an USAF AWACS aircraft. Both took off from homebase Diyarbakır and performed the mission. After that the leader continued to the second mission which was a simulated "durandal" attack to the auxillary air base Batman. After this simulated attack, the leader made some kind of manouvre which impacted the nearby flying no.2 aircraft (8-815) which got caught in leader's jet wash and crashed. Sadly pilot Hv. Plt. Ütgm. 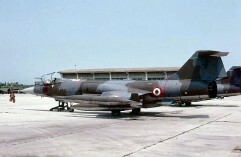 A. Rasim Duroglu (26) couldn't eject due to the low level and tragically died. It crashed after it suffered problems with its undercarriage during touch and go training at home-base Manching. 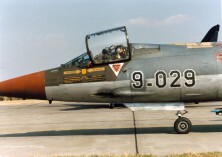 The Pilots Both pilots OTL Reiner Karlstedt (47) and Hptm Michael Reinhold (35) ejected safely but were injured. Both pilots returned to the airbase and decided to make one or more touch and gos before ending their mission. However when they made the first landing the aircraft suddenly headed left and became uncontrollable. Both pilots decided to eject immediately. Due to the low atltitude and circumstances the chutes did not deploy completely and the pilots were brought over to the hospital with spine injuries and suffered shock but were safe and could fly again after 6 months.. They both saw the aircraft crashing and stopping into a lot of trees noticing that some trees had pointed into the area where they had been sitting. 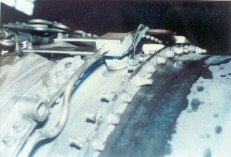 Investigation found out that the undercarriage was failing (technical cause) (likely left strut/wheel or brake). 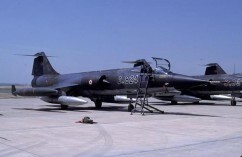 (USAF serial 61-3078) It crashed near or in Jiu Ru, in PingtungCounty after receiving IRAN. Both crew, being Testpilot Lt Col Wei Tser-Kuen and flight mechanic Chang Chin-Chuan were ok after ejection.They were ferrying it from Ping Tung South AB back to CCK AB. During take-off, passed the mid-point of runway, pitched up, and flew at 20 m AGL. Passed 2/3 point of runway, and climbed at AOA 60 degrees. After about five seconds the engine stalled in big explosion and it began to pitch downwards. 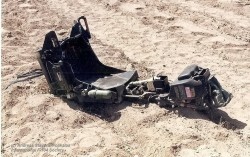 After about another five seconds, the rear pilot ejected with an AOA -15 degrees, breaking both his legs. Then at AOA -45 degrees the other pilot ejected breaking his ribs, and shook his brain. 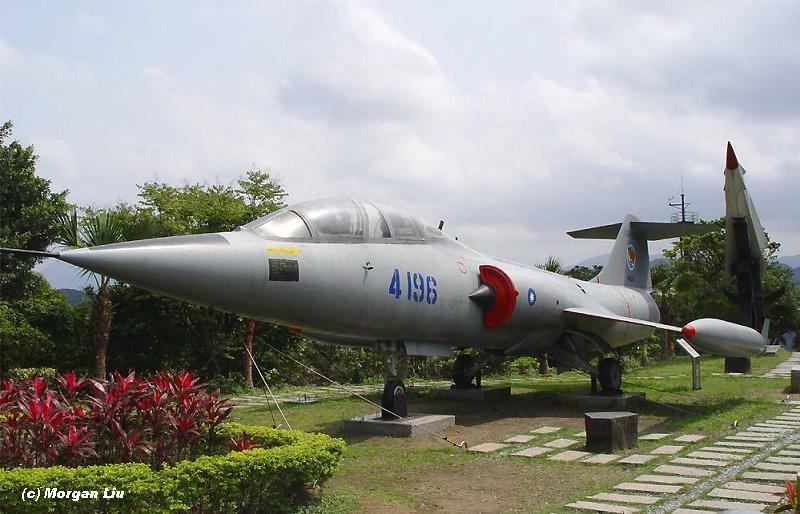 At AOA -75 degrees, the aircraft crashed into the Gao Ping Xi fruit farm, behind the runway. The photo beneath was taken in the 70s. 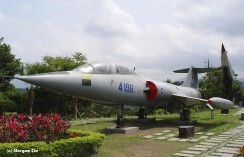 When this aircraft crashed it had a overall light grey color scheme. It crashed near or at homebase Balikesir. Gladly the pilot was ok. Beneath an interesting photo, showing the aircraft with a red radome ready for starting another mission. Please note the "9" painted over the "4" with grey background paint. 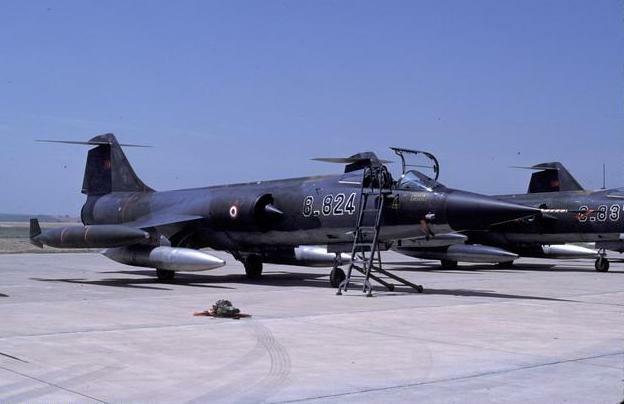 This starfighter crashed near Koroni-Messina, South-West Greece. Pilot Capt G. Zafiriou ejected safely by his MB-seat. Cause: Fuel starvation. 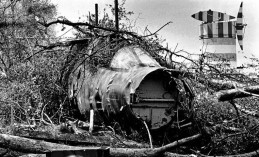 It is sad that we still not have identified the aircraft. 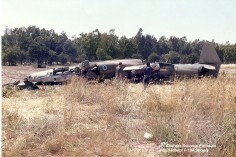 This CF104 crashed near Ergani (Iraqi border). Pilot Hv. Plt. Ütgm. Oktay Tuna (27) was sadly killed. 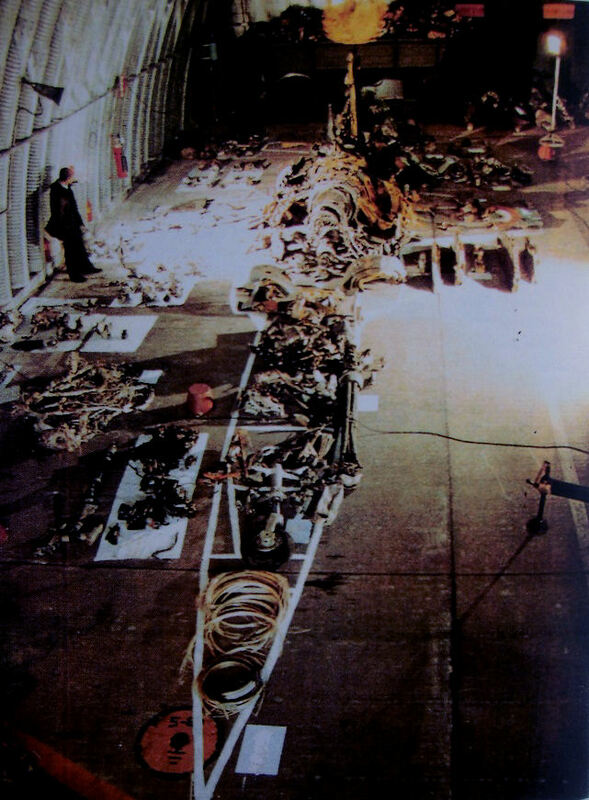 Photo beneath shows the aircraft on the Diyarbakir flightline in 1987. 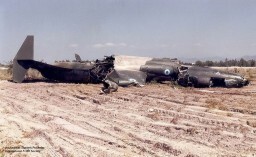 It crashed near Ayvacik. Gladly the pilot was save. It was written off at Araxos AB. 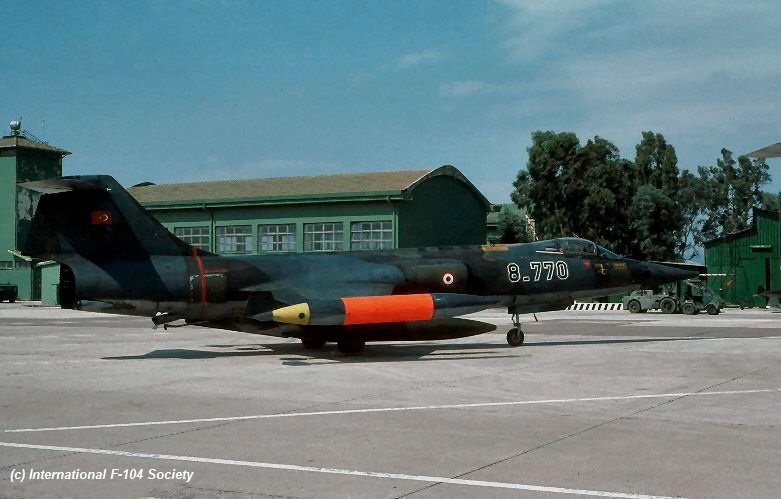 The pilot 2nd Lt G.Konstadopoulus ejected safely. 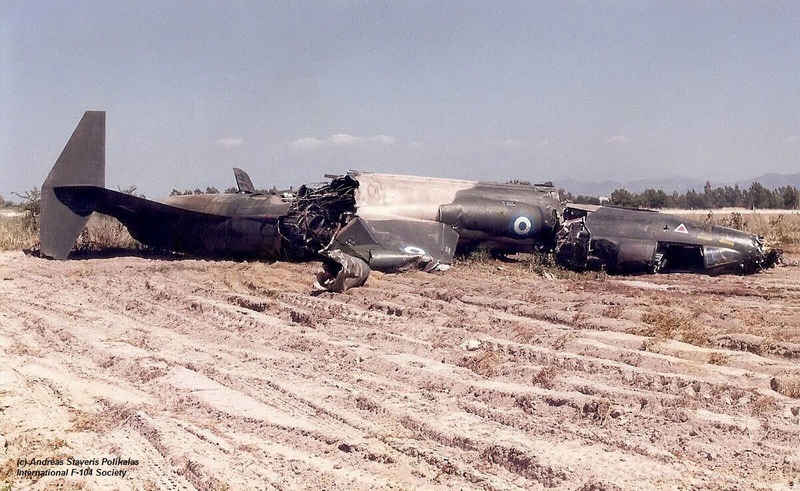 The cause was a landing gear collapse during landing at Araxos. 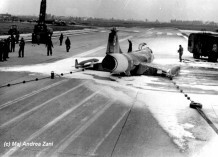 The pilot ejected safely from the aircraft when during landing and after touching down landing gear collapsed and aircraft veered off the runway. Beneath some photos thanks to Andreas Staveris-Polikalas, taken just after the accident. It crashed into sea West of Sicilie not far from harbor village Marsala, during the approach to Trapani-Birgi AB. The pilot Ten. Michele Provvidenti Parisi (28) was sadly killed. It came down between Torre San Teodore and Isla Lungae. 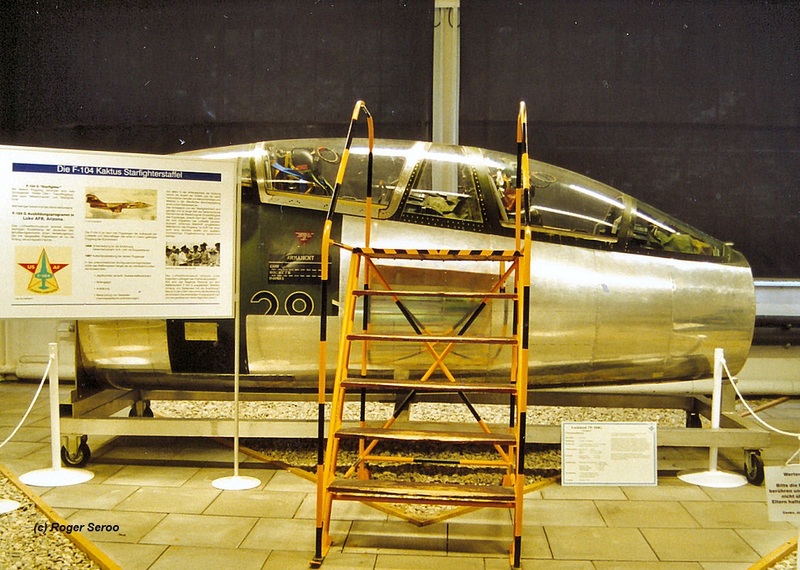 Beneath a photo of this aircraft provided by Riccardo Vestuto. found there. 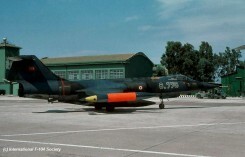 On 18 August 1995 the tail was noticed of this aircraft at Araxos. 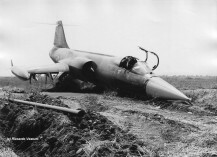 It crashed just after takeoff from Cameri during exercise 'Taceval'. 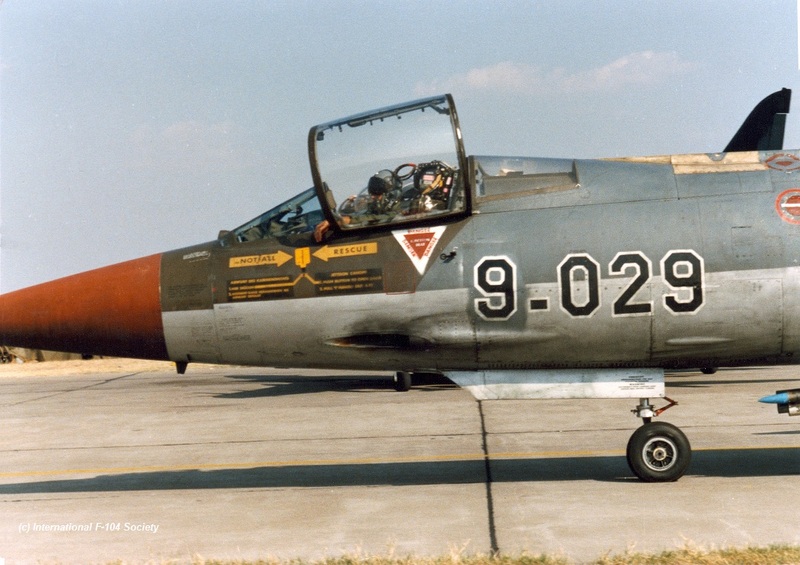 The pilot Lt. Riccardo Boccardi (25) ejected but was sadly killed. Witnesses have declared that the motor emitted a strange noise and exploded after take off. 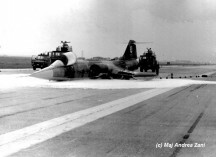 (USAF serial 66-13625) At this day the aircraft made an emergency landing while its engine was on fire. 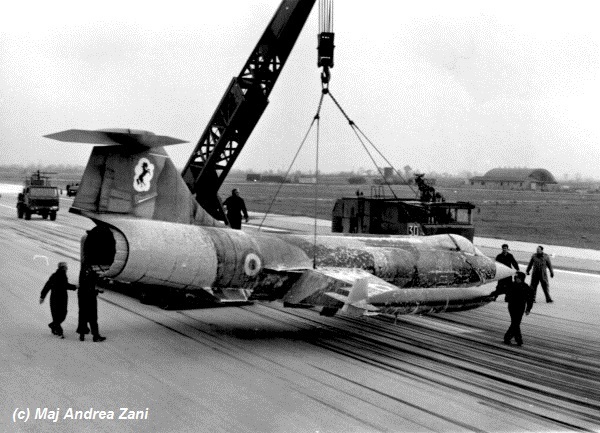 It managed to land safely and the aircraft could be repaired. Both pilots were unhurt. It very likely happened at Hsinchu Air Base. Beneath a photo provided by Clarence Fu showing the damage to the engine and a photo as it can be found today preserved. This CF104 crashed near or at Diyarbakir. Gladly the pilot was ok. Beneath a photo showing the aircraft in 1987, still in one piece. 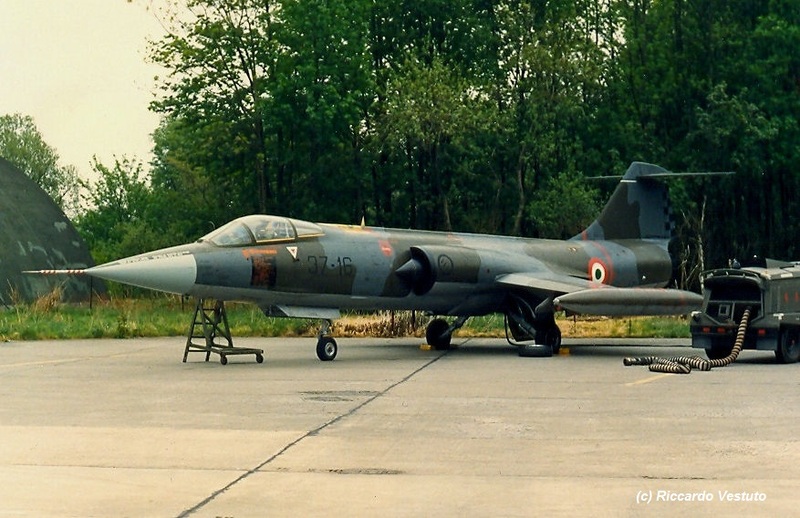 It is possible that this aircraft encountered a mid air collision with 62-770, which had been reported as damaged this day and soon be ready for flying again. Sadly we have no confirmation yet. 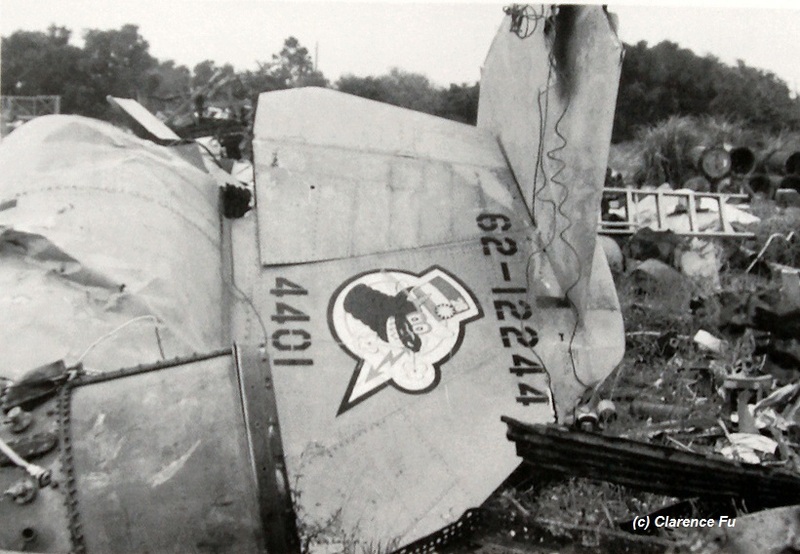 On this day the aircraft had an accident but could be repaired soon again, the pilot was unhurt. Beneath two photos taken around 1987/1988 of this aircraft. 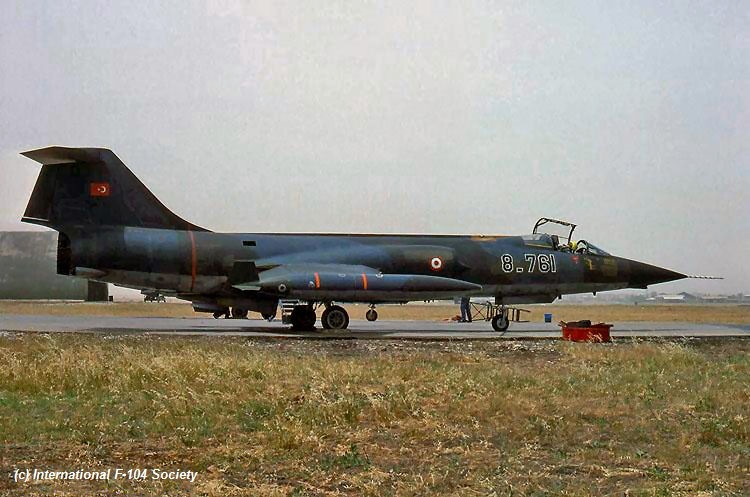 It is possible that this aircraft encountered a mid air collision with 62-761, which had been reported as crashed. Sadly we have no confirmation yet. 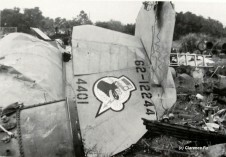 Both aircraft crashed after a mid air collision. Pilot of 4505 (FMS serial 46-8611) being Ger Jing-Chi ejected safely and was rescued out of the sea after some hours. the aircraft crashed into the sea near Hsinshu. 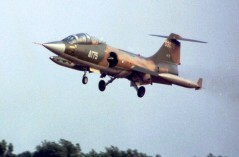 The pilot of 4319 (USAF serial 62-12261) being flight leader Major Shen-Chia Tang (31) was missing. His body was found later. 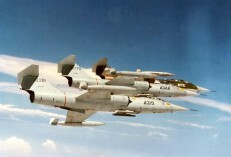 Both aircraft toke off that day from Hsinchu Air Base at about 8 AM, for some ACM training. Beneath a photo showing aircraft 4319 in a formation likely taken around 1988.